“`Anyone who is a fan of classic cinema has lost their most intimate friend. So has Hollywood historians and others in the motion picture industry. Robert Osborne (right) put Turner Classic Movies on the map, and he helped make it a real global phenomenon. Eulogies are pouring in from luminaries, including Leonard Maltin and TCM’s Ben Mankiewitz. I wrote my Forgotten Hollywood book series partially because of the influence Osborne had on my personal career. “`He began his career working as a contract actor for Desi Arnaz and Lucille Ball’s Desilu Studios. There, Robert became part of Ball’s Desilu Workshop. One of his early television appearances was in a 1959 episode of Westinghouse Desilu Playhouse, starring Hugh O’Brian; a personal friend of mine, who recently passed away. Osborne was featured in a Christmas Day installment of The Desilu Revue in December, 1959. Ball would eventually suggest that Osborne focus his energies on becoming a journalist. “`Bob also had small roles in television shows, such as the 1962 pilot episode of The Beverly Hillbillies. After this acting opportunity, Osborne would focus more on writing and journalism. In 1965, Osborne had his initial book published — Academy Awards Illustrated. He penned 50 Golden Years of Oscar, which won the 1979 National Film Book Award. Robert began his relationship with Academy of Motion Picture Arts and Sciences, when he hosted a tribute to Shirley Temple at their Academy Samuel Goldwyn Theatre in Beverly Hills. A.M.P.A.S. commissioned him to write 60 Years of the Oscar. “`Having joined the Los Angeles Film Critics Association, Bob was elected its president in 1981; the position he earned re-election over the next two years. In 1977, Robert began his long-standing stint as a columnist for The Hollywood Reporter. Osborne began a five-year stint as the entertainment critic on KTTV Channel 11 in Southern California in 1982. “`In 1984, Osborne began hosting at The Movie Channel. The next decade, Ted Turner produced Turner Classic Movies; the competition to American Movie Classics (today called AMC). Osborne was selected as the singular host of nightly prime-time broadcasts. His first introduction was Gone with the Wind. He additionally conducted Private Screenings conversations with a number of legendary actors and directors. “`Beginning in 2006, Robert co-hosted TCM’s The Essentials. He introduced cinematic classics with Alec Baldwin, Drew Barrymore, and Sally Field. In 2010, Osborne (left) was an official host at the initial TCM Classic Film Festival. “`In 2014, as part of an exclusive programming deal with Disney, TCM agreed to become the sponsor of The Great Movie Ride. Recently, the attraction underwent a refurbishment adding a new pre-show and post-show hosted by Osborne – who also provided on-board narration. “`Osborne won the Publicists Guild of America 1984 Press Award. Robert also received an honorary doctorate from the Academy of Art University in 2005; and was awarded a Star on the Hollywood Walk of Fame in 2006. The following year, he received the National Board of Review’s William K. Everson Award. “`A little known fact: Osborne had small roles in Spartacus and Psycho. His affection for Hollywood’s Golden Age remained undimmed throughout his career. Bob’s friends included Olivia de Havilland and Robert Wagner. 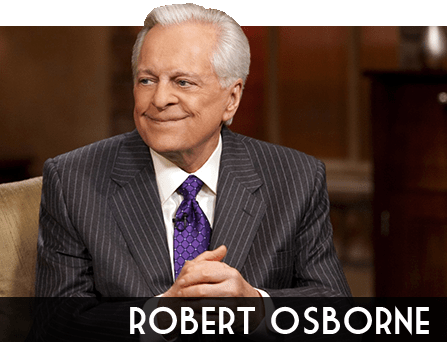 “`Turner Classic Movies will dedicate two full days to honor the legacy of Robert Osborne. 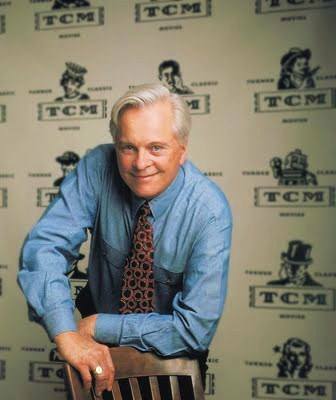 Airing on Saturday, March 18th and Sunday, March 19th, the 48-hour tribute will feature an extensive collection of interviews Osborne conducted during his 23 year tenure at TCM. 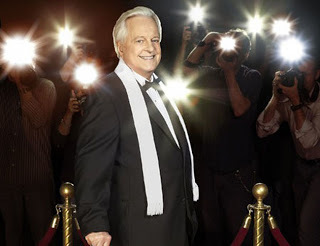 “`While film fans mourn everywhere, let me remind you that Robert Osborne was 84. This entry was posted on Tuesday, March 7th, 2017 at 12:04 am	and is filed under Blog by Manny Pacheco. You can follow any comments to this post through the RSS 2.0 feed. Responses are currently closed, but you can trackback from your own site.